I love a good kitchen DIY project. It doesn't have to be extreme like curing a whole pig leg. I mostly stick to making fresh cheeses, jam, condiments and the like. This summer I will be tackling barbecue sauce. 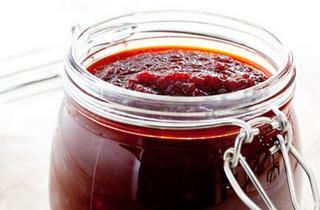 Barbecue sauce is unlike any other condiment because there are so many regional variations. Ketchup is pretty much the same whether you are in Portland, Oregon or Portland, Maine but the same can't be said for barbecue sauce. For example, South Carolina barbecue is served with a mustard sauce made from yellow mustard, vinegar, salt, sugar and spices while Kansas City sauce is a sweet tomato based sauce that sits on top of the meat rather than penetrates it. Nationally distributed barbecue sauces tend more towards the Kansas City style, however; commercial sauces are usually too sweet because they use high fructose corn syrup as the main sweetener instead of brown sugar or molasses. 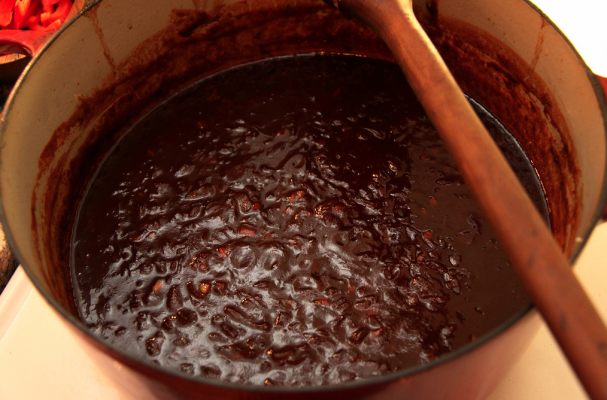 By making your own barbecue sauce, you avoid that dilemma altogether. Since this Kansas City barbecue sauce has a high sugar content, it burns very easily so add the sauce to your meat a few minutes before serving. Any one of these sauce would be delicious glazed over ribs, tossed with pulled pork or slathered on grilled chicken. This sauce has a Asian kick. Soy sauce adds both salt and depth of flavor. 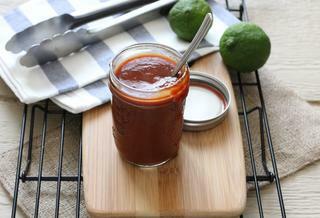 The combination of Tabasco sauce and adobo sauce give this barbecue sauce a spicy kick. Zesty and spicy, this sauce has south of the border flair. A uniquely flavored barbecue sauce with a fruity twist.